The pursuit of art and the pursuit of new ideas. 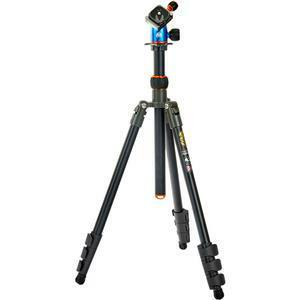 The 3 Legged Thing Punks Patti 64" Magnesium Alloy Tripod & AirHed Mini is the company's first flip-lock tripod for general use. Boasting a higher maximum load capacity than is usually found in tripods of this class, Patti is able to support up to 22 pounds (10kg) of camera equipment. This is due to Patti's secure flip leg locks. 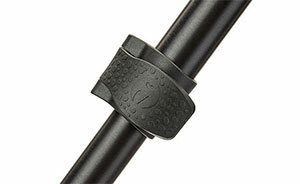 Formed from rugged hard-wearing ABS plastic, the flip locks have a smooth action which secures the legs into position. 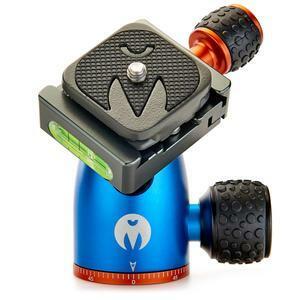 Perfect for photographers of multiple genres, and adaptable to a wide variety of situations, Patti is an ideal starter tripod for users of compact, bridge, mirrorless, and lightweight DSLR cameras. Patti is made from aircraft grade magnesium alloy and features a single-section center column that is both removable and reversible. 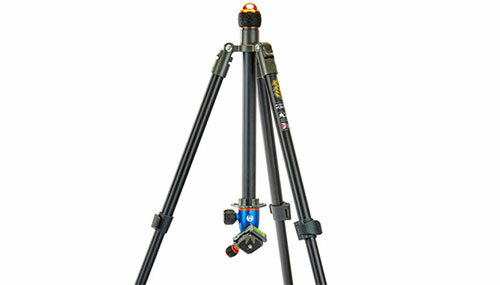 The tripod's three optimal leg angles (23° 55° and 80°) give photographers greater versatility, allowing them to undertake shooting as low as 4.25 inches (11cm) from the ground. Maintaining its versatility and ease-of-use, Patti ships with a new, simplified ballhead -- the AirHed Mini -- which features just two controls; the release plate clamp knob, and a combined panning and ballhead tension knob, which allows photographers to make composition and position changes using a single control. 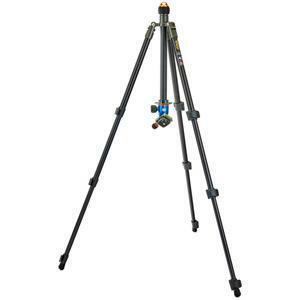 With a single column section and four-section legs, Patti is just 17.7 inches (45cm) long when counter-folded yet extends to 64 inches (163cm) making it an ideal tripod to carry for a broad range of photographic uses. Patti also features 3 Legged Thing's patented Tri-Mount plate, which enables a compact profile when counter- folded, and includes 3 hollowed spurs for the attachment of accessories. 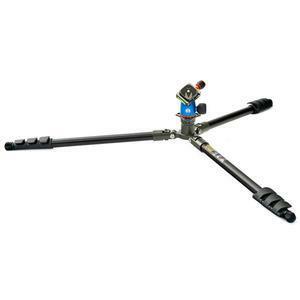 Patti is the first of the company's tripods to use flip leg locks. Formed from rugged, hard-wearing, ABS plastic, Patti's flip locks have a smooth action which secures the legs in position. Patti has a higher maximum load capacity than is usually found in tripods of this class. Able to support up to 22 lbs. (10kg), that's more than enough for most mirrorless and DLSR cameras. Enabling photographers' creativity, Patti includes a reversible and removable center column, ideal for focusing on low level subjects, or shooting from an alternative perspective. 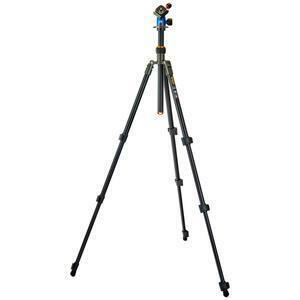 With 4-section legs and a single column, Patti folds up to just 17.7" (45cm) making it an ideal tripod to carry with you every day. To enable shooting from a variety of heights, Patti's legs have three optimal angles -- 23° 55° and 80°. 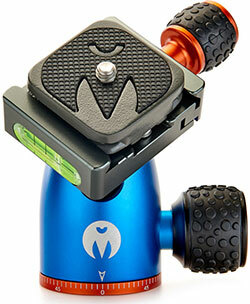 The widest angle allows photographers to shoot as low as 4.25" (11cm). 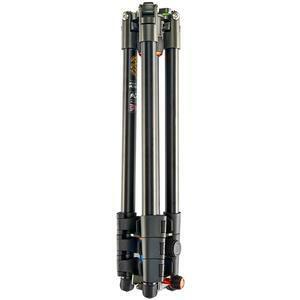 For greater versatility, including macro and low-level shooting, Patti has a removable and reversible center column. Patti has a maximum load capacity of 22 lbs. 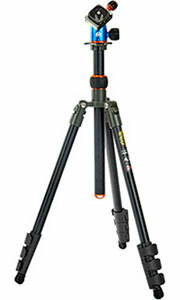 (10kg) -- the largest capacity of any tripod in its class. The patented Tri-Mount plate offers three hollowed spurs for accessory attachments, and enables Patti to counter-fold, even when the column is removed. Patti has detachable rubber Bootz, which can be replaced with other foot accessories (sold separately), for maximum stability on any terrain.